"Main entrance of the temple of the god of medicine in Anguo"
Main entrance of the temple of the god of medicine in Anguo 藥王寺. 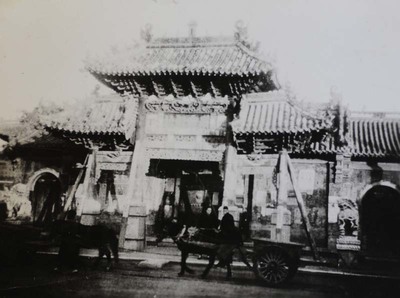 Main entrance of the temple of the god of medicine in Anguo. November 1931. Société des Auxiliaires des Missions (SAM) China Photograph Collection, Whitworth University Library, Spokane.